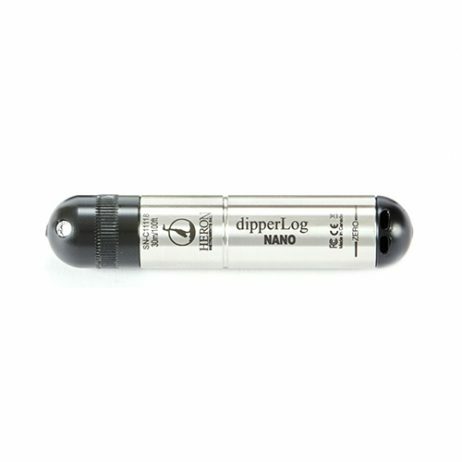 The dipperLog NANO offers precise data, quality design, effortless usage for a very reasonable price. 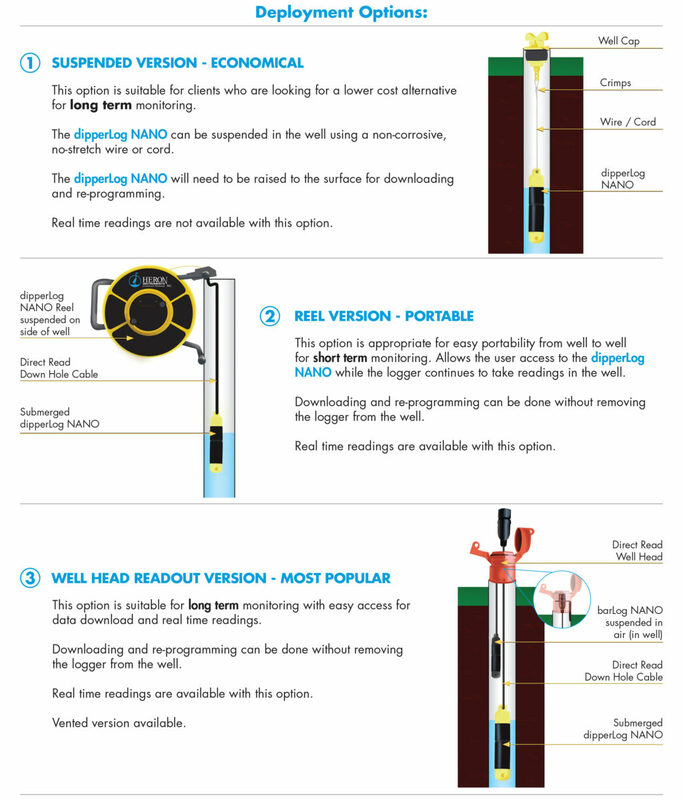 Its main function is to control and collect data from groundwater in mining holes or open water for a very long time. 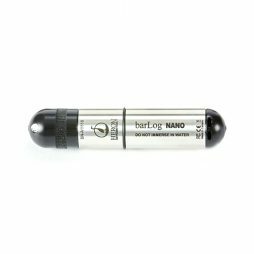 In addition it can be used as a one-time solution when you need to perform some pump checking. 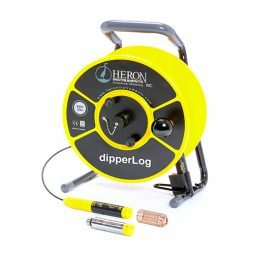 Also it is a good option for wetland or tide investigations. The software this instrument is able to connect to is very easy to use and understand by anyone. Data output and input is done very quickly and easily. Big bright letters can be seen clearly during the working process. 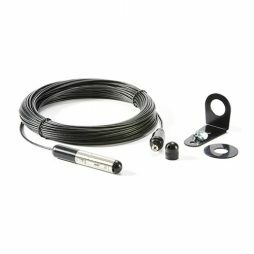 Different accessories are consistent with this instrument which makes it possible to improve data logging projects. Download Speed – 32,000 data points/90 sec. barLog for barometric compensation is recommended. 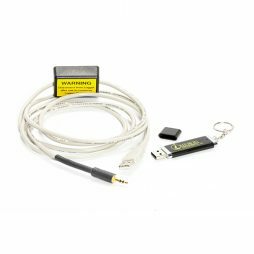 PC Communication Cable is required for programming and data download.